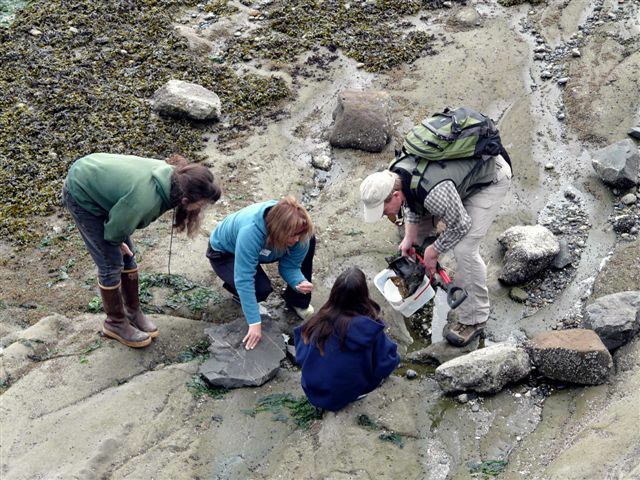 restoring the marine and nearshore habitats of the northern Puget Sound region. 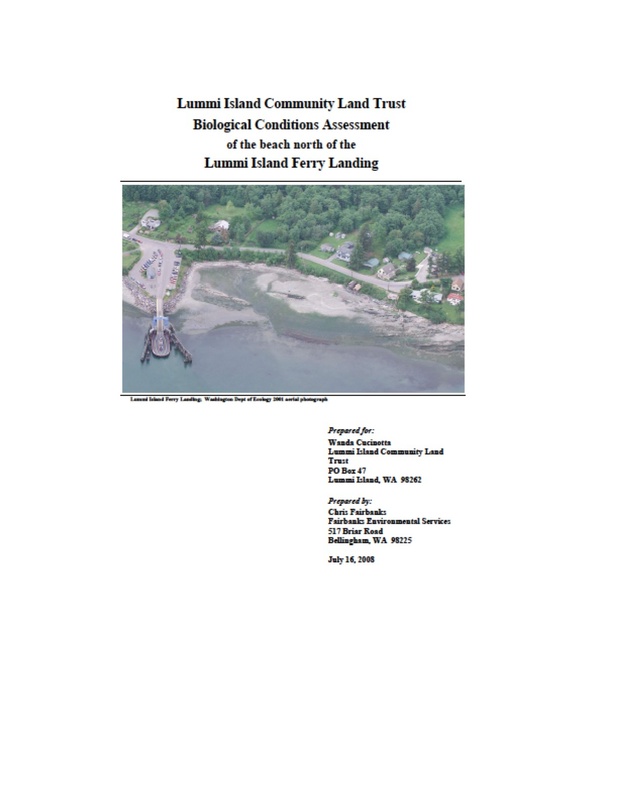 Lummi Island Community Land Trust contracted Fairbanks Environmental Services, Inc and Coastal Geologic Services, Inc to complete and assessment of biological conditions and coastal processes along a beach to the north of the Lummi Island Ferry landing. Biological conditions of the marine riparian, upper beach, and intertidal zone are good and natural processes are functioning well to maintain a moderately healthy ecosystem. The assessment of coastal processes was conducted by Coastal Geologic Services, Inc and a summary report was completed as a separate memorandum. 1. Remove creosote treated timbers from the beach. 2. Plant additional native species of trees and shrubs in the riparian zone. 3. Establish a riparian community along the ferry landing shoreline where riprap has been placed; this may be done if an access trail is constructed. 4. Place additional large wood features at the toe of the bluff. 5. Retain large wood such as the Douglas fir trees when they fall onto the beach; do not allow trees to be cut and removed from the beach. 6. Protect water quality in the small stream that drains through the culvert in the study area.